When tourists travel to Germany, must-visit cities are Hamburg, Munich, Berlin and Frankfurt. Unless, that is, the tourists are musicians of the string variety, principally violinists, violists and cellists. If not musicians, then certainly student luthiers – violin makers– who have flocked to the small village of Mittenwald where Klotz-crafted instruments have been made since the mid 17thcentury. The Klotz family is historically at the heart of the violinmaking history of Mittenwald municipality in Bavaria (Garmisch-Partenkirchen district). 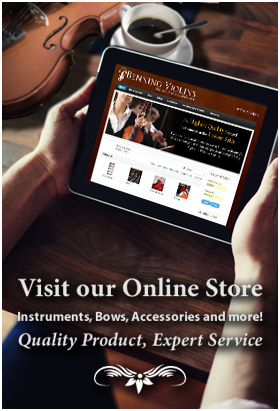 Beginning with Matthias I (1656-1743), and later his sons Sebastian and Georg, the violinmaking craft that ultimately became the principle industry of Mittenwald was born. Matthias himself had studied to be a Geigenmacher (luthier or violin maker) in Padua, Italy in the 1670s as a student of Jacob Stainer, whose reputation at the time was he made fine violins that rivaled the work of Stradivari. By 1856, the Bavarian government established a school of violinmaking in Mittenwald, the rolls of which listed more than 25 artisans with the Klotz surname. The Klotz family’s rise is due in part to their craftsmanship, but also to where the town is situated. High in the Karwendel mountains, the maple and spruce trees there yielded very good tone wood, the kind suited to violins, cellos, and violas, just as the violins from Stradivari came from the Fiemme Valley in the Italian Alps. Mittenwald was also on a trade route (stretching from Augsburg to Bolzano and Venice), which enables distribution to other points north and south. The town was the violin shop to the world at that point. But to be clear, Matthias Klotz learned his craft from the northern Italians in Padua. Today, Mittenwald remains a tiny town (population 7,410) with a big reputation due in no small part to the school established in 1858 and still teaching Geigenmachers today. The Staatliche Berufsfachschule für Musikinstrumentenbau Mittenwald, a fulltime vocational school, offers training in violin, plucked instrument, woodwind instrument, and brass instrument making. 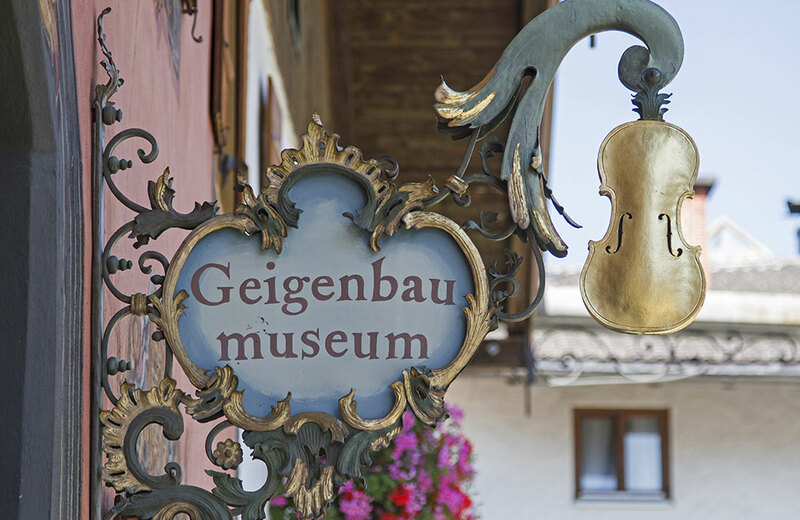 The village also celebrates its heritage, specifically in violins, at the Geigenbaumuseum in Mittendwald. The museum includes exhibits that explain how violin experts, dealers, and auctioneers distinguish the valued Mittenwald violins from cheaper, inferior knockoffs, as there were many even 150 years ago. Those distinctions are found in construction of the instrument, precise sizing, the flare of the scroll, the width of the f-holes, the tightness of the wood grain, and the hue of the varnish. Labels in Klotz and other Mittenwald violins were uncommon (but not unheard of), so these other details have to be the distinguishing characteristics – as well as the rich tonal quality of that Karwendel mountain wood. Today, the violin-making school in Mittenwald attracts student luthiers from all over the world. Many well-known modern masters of the craft received their education there including Hans and Nancy Benning, Charles Beare and Hans Weisshaar.